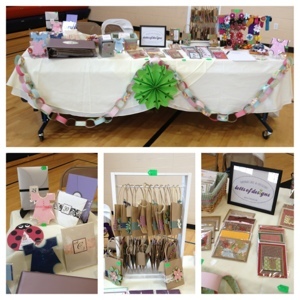 "#Craft fair #berea #handmade #lottsofdesigns #headbands #girls #ribbon"
I recently had the opportunity to be a local vendor at the Berea Autumn Vendor Fair. 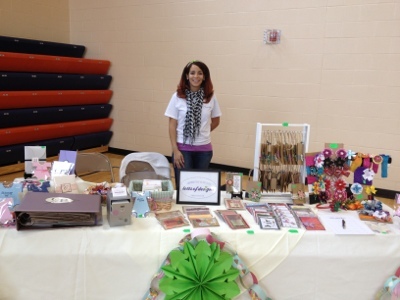 It was definitely a great experience along with being my first fair & I'd love to join the craft fair scene!! 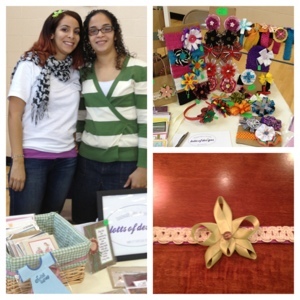 It's always great to meet other local talent and interact with other crafters. My table consisted of my handmade cards, invitations, stylish gift bags and I also featured beautiful headbands created by my sister! 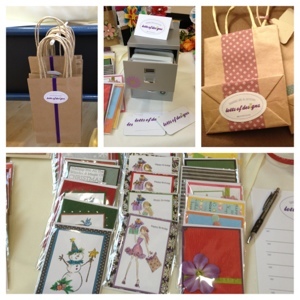 It was a fun event and a great way to introduce your craft to the world. With the holidays fast approaching, these items would make great gifts!! Hope to be at for craft fairs in the near future! Older PostBaby Girl Onesie Card!